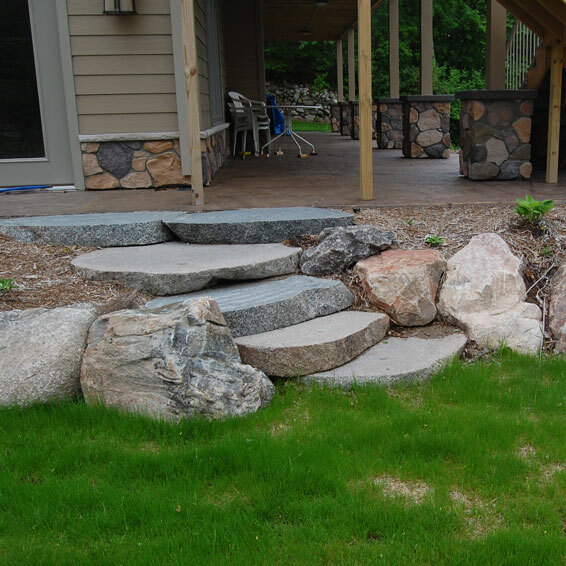 Great landscaping is art, science and hard labor at once. 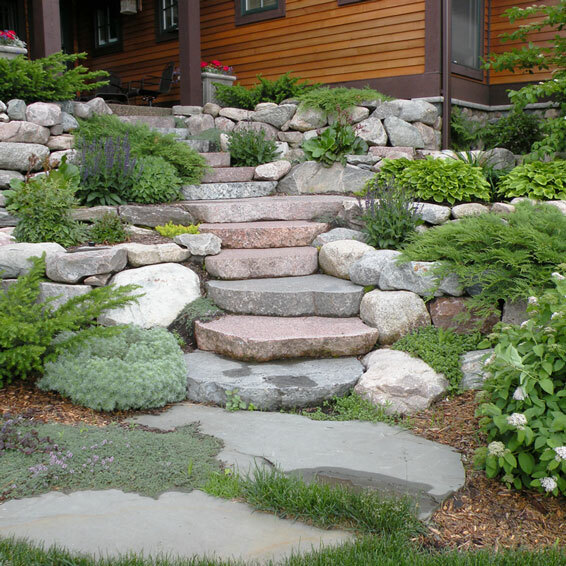 Foliage must hardy enough to withstand a Minnesota winter, yet add unique beauty to your yard. 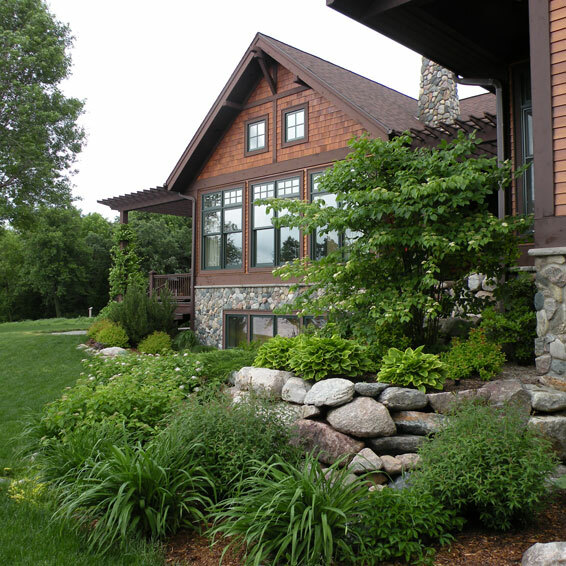 We understand what thrives in lakes country, and we know how to showcase it in micro-climates throughout your landscape. 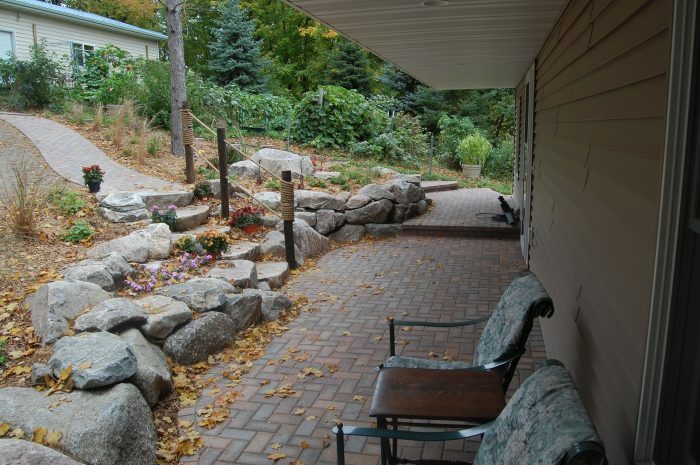 Plus, we’ll do the work to maintain your gorgeous yard throughout the year. Our calendar fills up fast, so you’ll want to book 6-18 months in advance to ensure your spot! 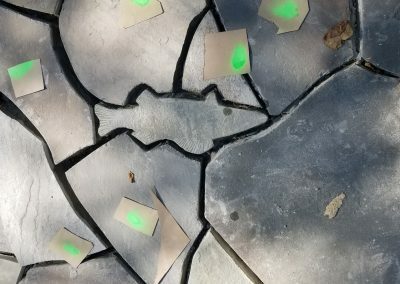 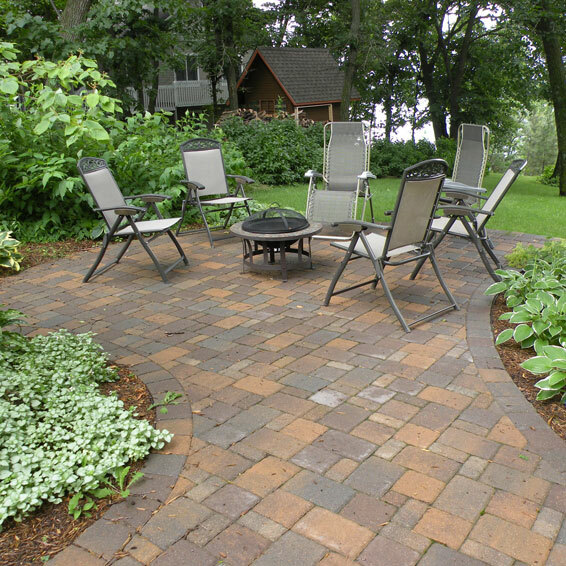 As the cost of pavers has dropped, the design options for patios, walkways, and driveways have skyrocketed. 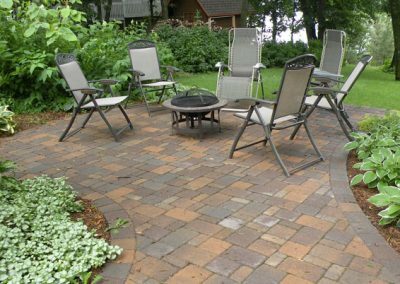 Patio pavers expand and contract in response to temperature fluctuations, which is perfect for our climate. 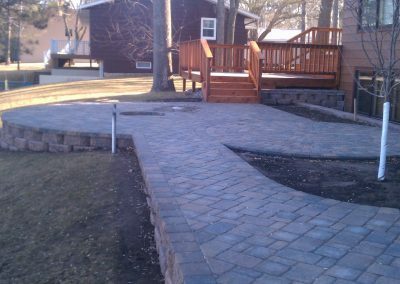 Concrete sidewalks can crack in winter, but pavers respond well to environmental changes, reducing the need for repairs, plus they add charm to any property. 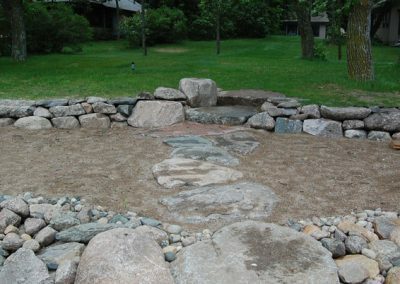 We create custom waterfalls and ponds that can bring your landscaping to life. 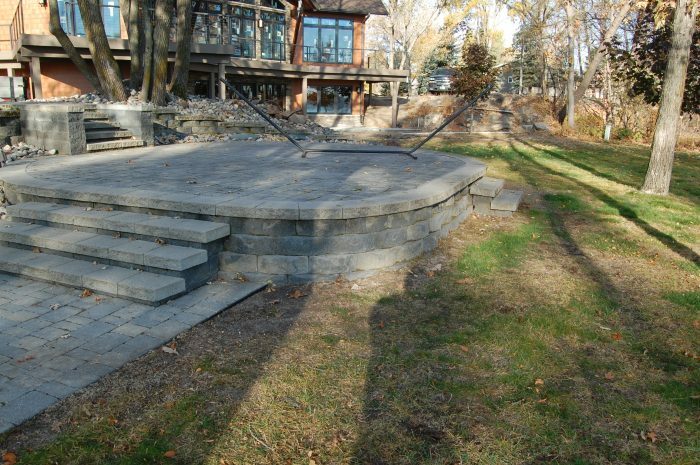 Retaining walls can be built to match or complement your patio, walkway or driveway. 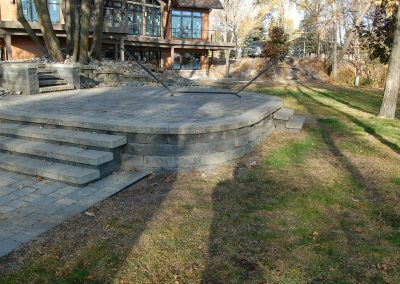 Lawn and Limb Landscaping will help you decide which materials and design will work best on your property and be the most aesthetically pleasing. 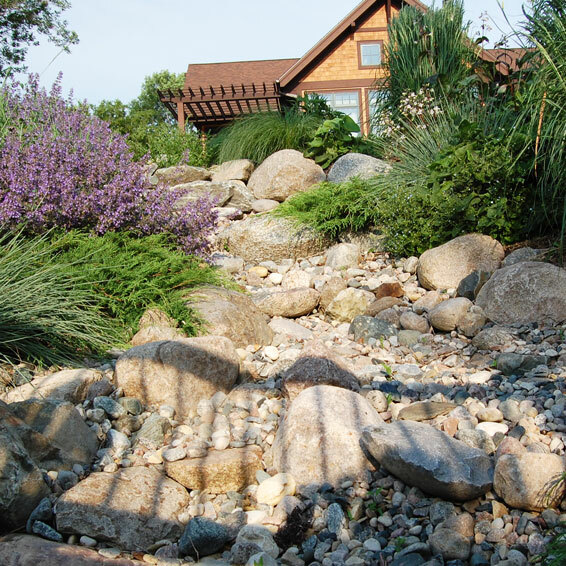 Minnesota shoreline is prone to erosion due to fluctuations in water levels, wake action, ice push, loss of shoreline vegetation and human activity. 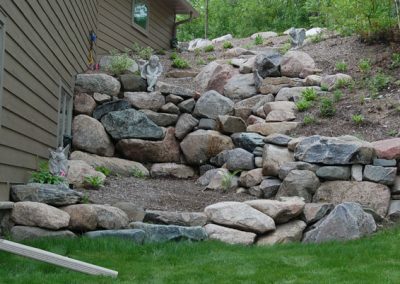 Protecting your shoreline is important. 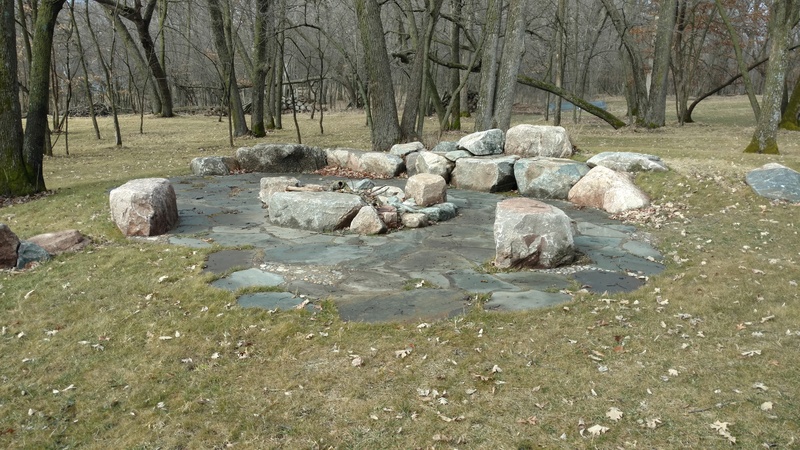 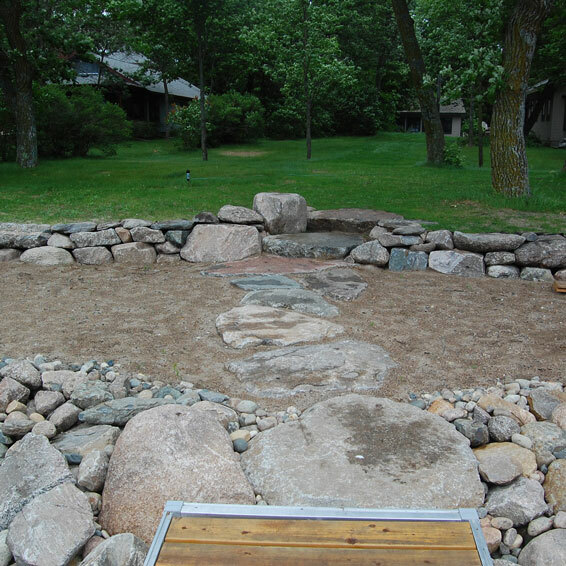 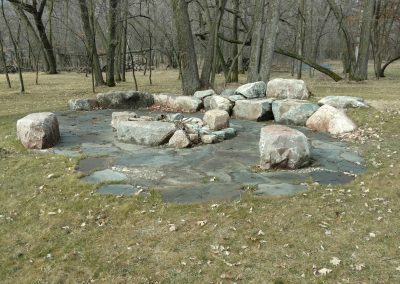 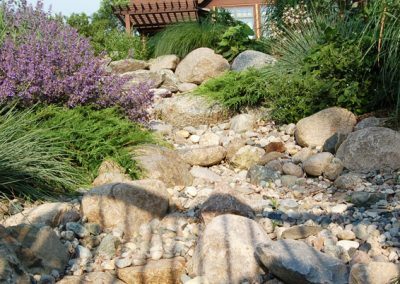 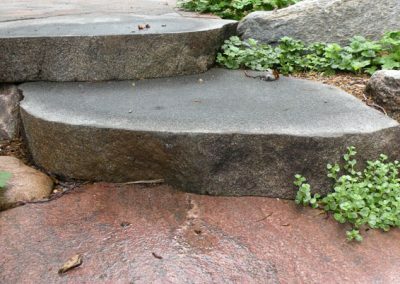 Lawn and Limb can install natural rock riprap by placing coarse stones loosely along the shoreline, anchoring the soil and allowing vegetation to take hold. 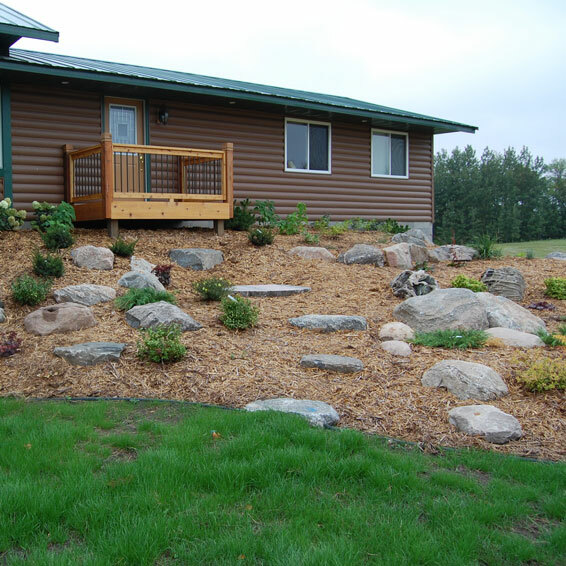 We can seed or sod your new or existing lawn. 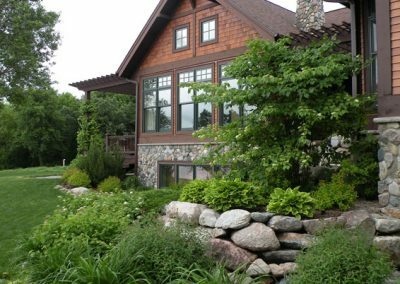 It may be necessary to amend the soil, grade or re-grade the area, and address drainage problems in order to produce the lush, green lawn you want. 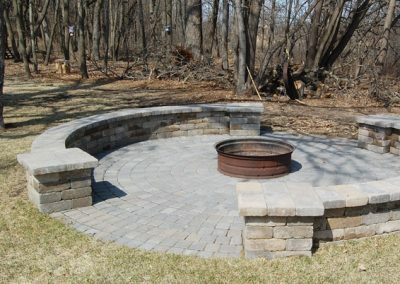 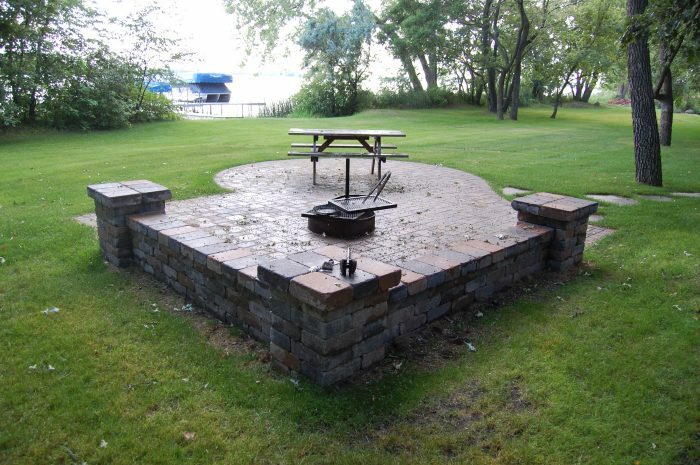 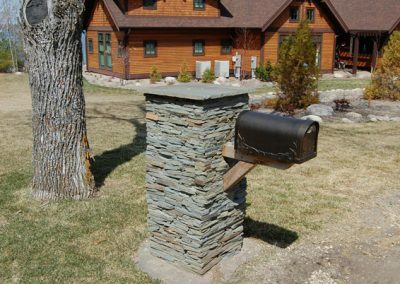 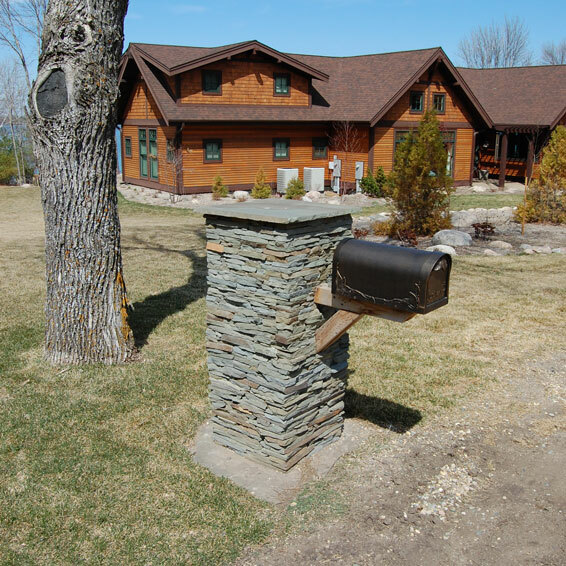 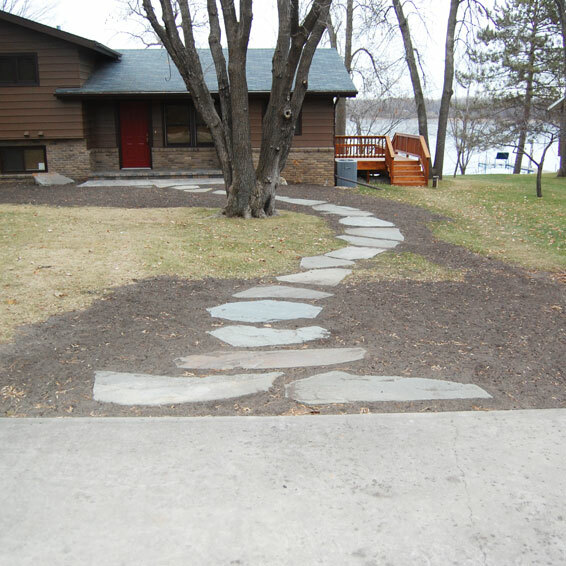 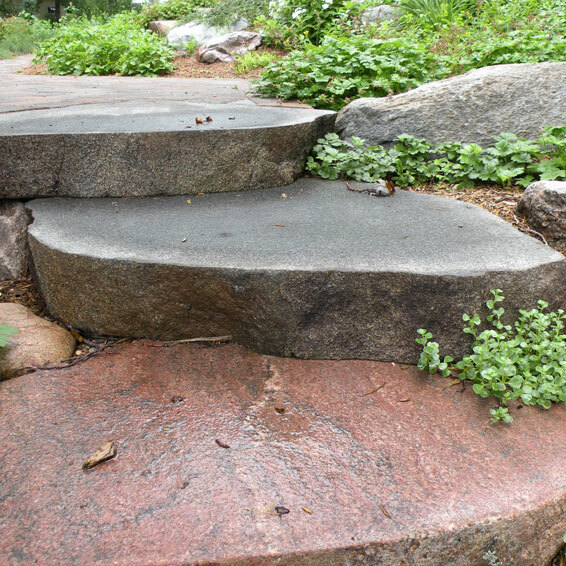 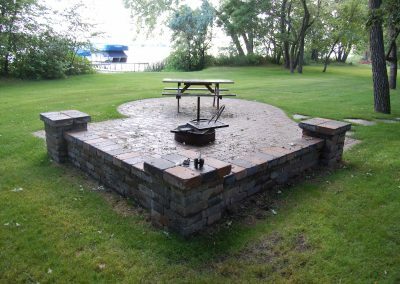 At Lawn & Limb Landscaping, we understand the soil and climate conditions of Minnesota lakes country; we know what is hardy enough to survive here, and what is not worth the investment. 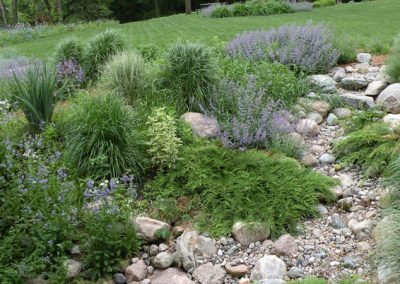 By creating micro-climates within your landscape, we can provide you the opportunity to experiment with growing a few plants that are zoned for area 4. 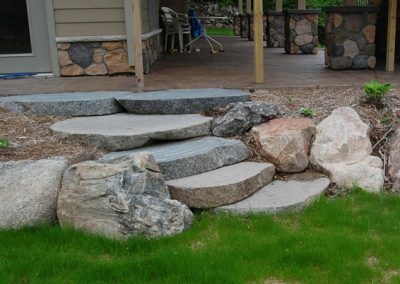 We’ll help you get your garden and flower beds ready for spring planting. 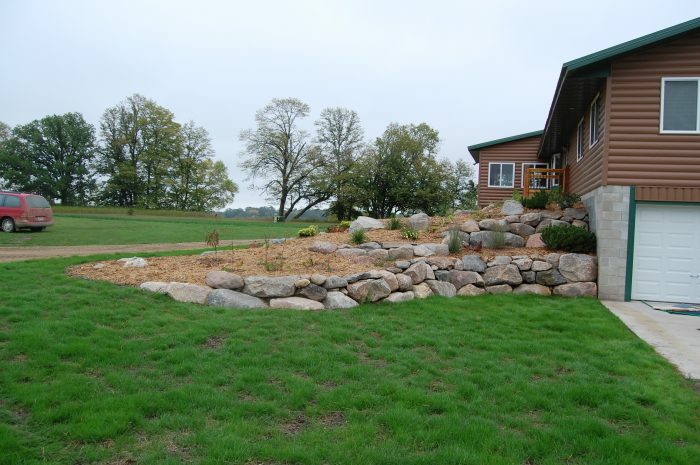 This is also a great time to amend your soil and have your most productive year yet. 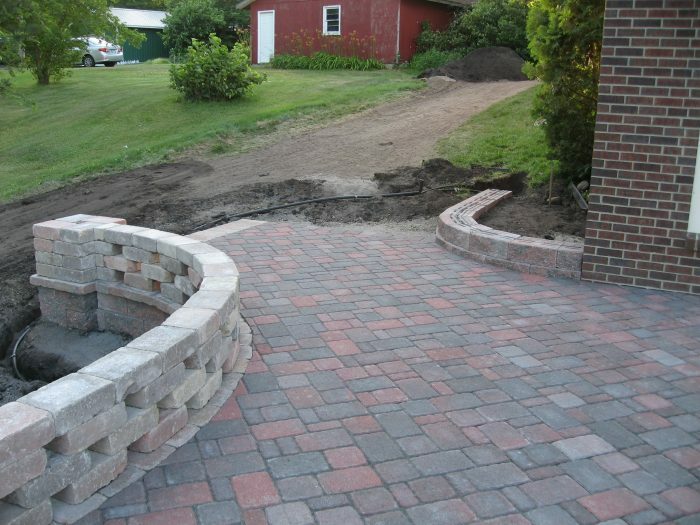 Lawn & Limb is equipped to do limited excavation work. 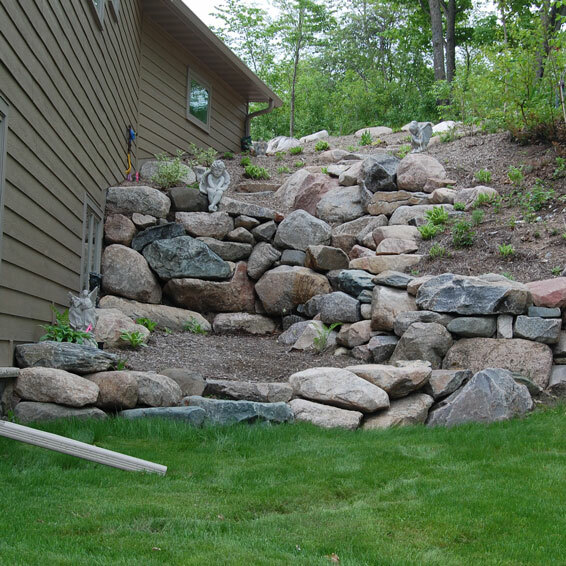 We can help you with site leveling and clearing, digging water lines, and bobcat work. 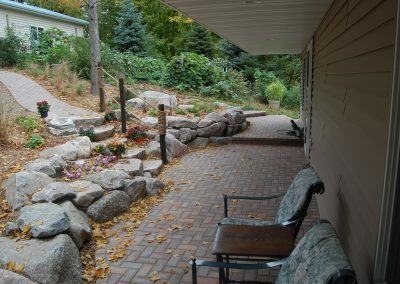 Lawn and Limb can help take the stress out of property ownership by providing quality cleanup services in the spring and fall, plus mowing, trimming and watering during the growing season. 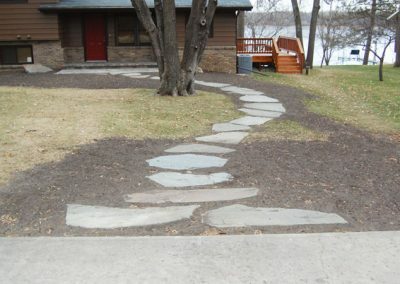 A healthy yard in the spring begins by giving it attention the previous fall. 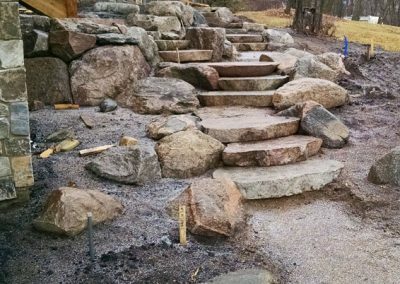 When you live in the heart of lakes country, the last thing you want to be doing on a gorgeous Minnesota day is working in the yard. 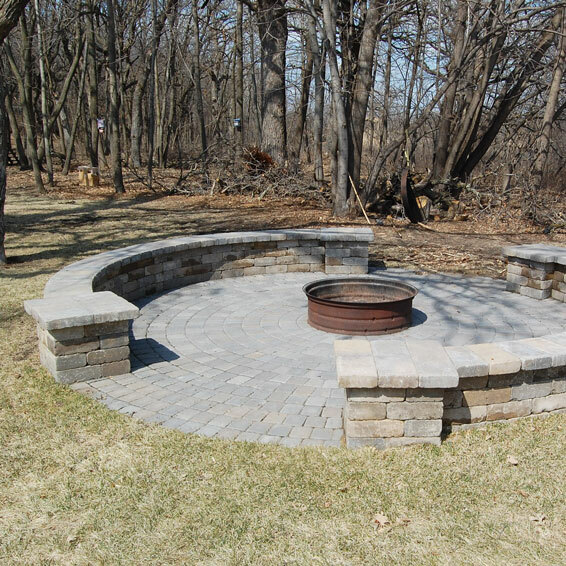 We can help you get out of your work clothes and onto some fun. 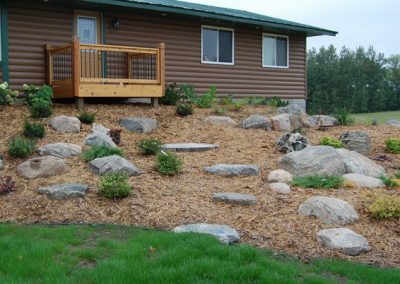 We can prepare your perennial beds by cleaning and mulching them before winter, then remove unwanted debris come spring. 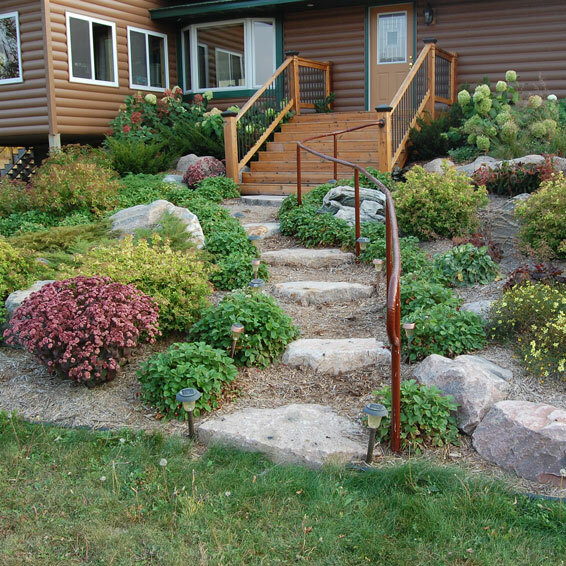 During fall leaf removal, we can trim shrubs and bushes to ensure healthy growth and proper symmetry the following spring and summer. 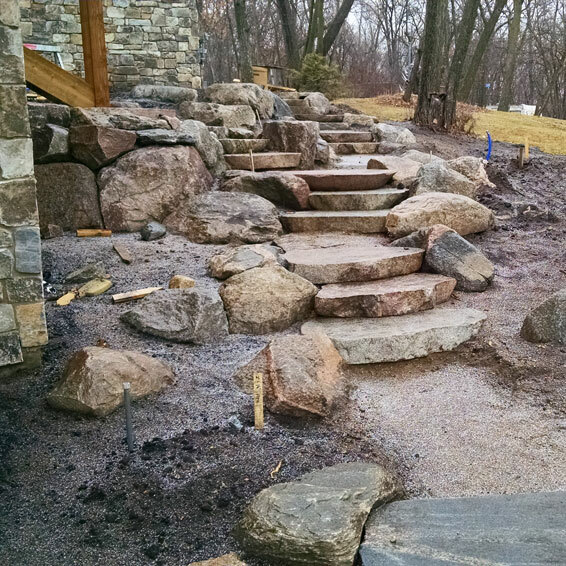 Winters in the lakes area can be hard on landscaping. 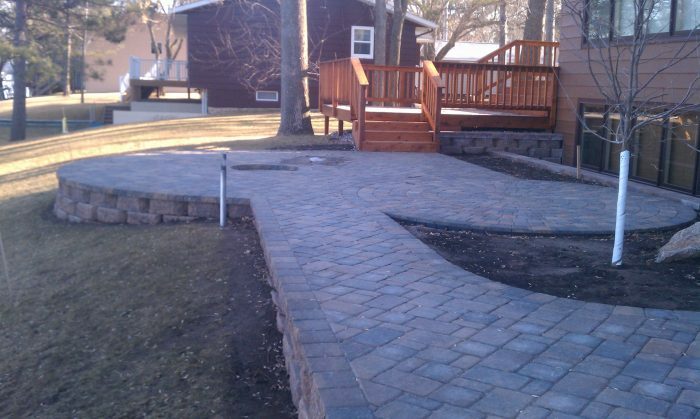 We’ll repair the damage to your yard due to snow, ice, wind or plowing. 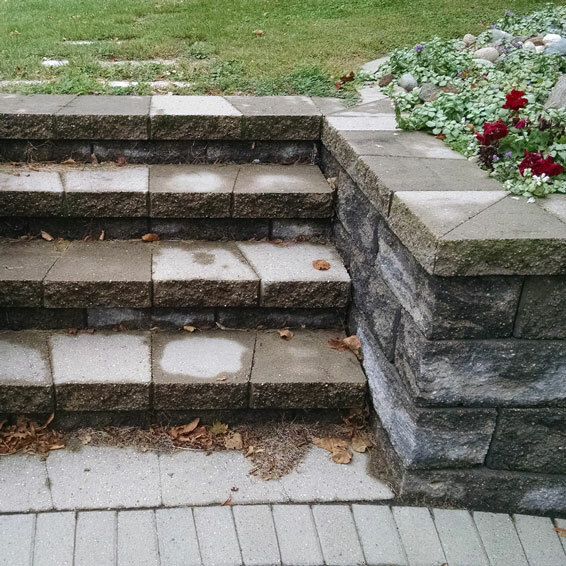 We’ll take of the weeding in your yard to free up more time for you to enjoy our amazing summer weather. 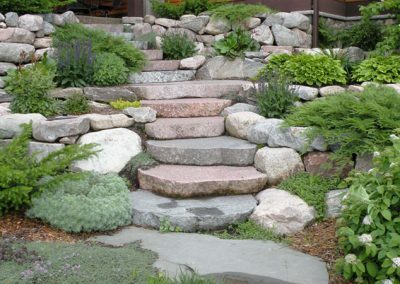 Call us to set up a one-time weeding or scheduled weeding on a weekly, bi-weekly, monthly or special request basis. 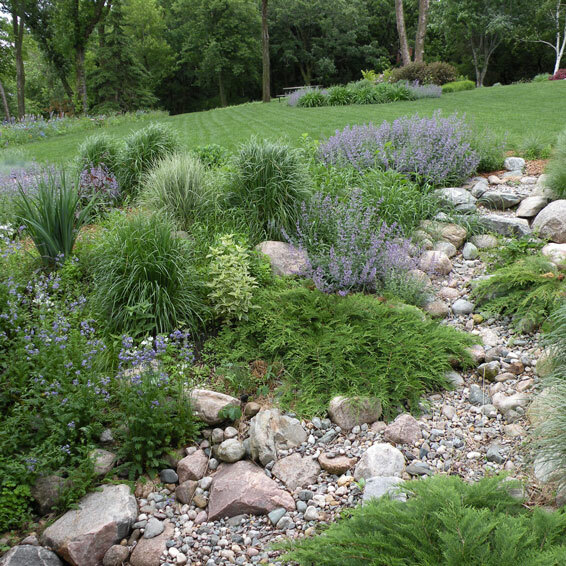 Regular watering is key to a lush, healthy landscape, but having the time or remembering to do it can be difficult. 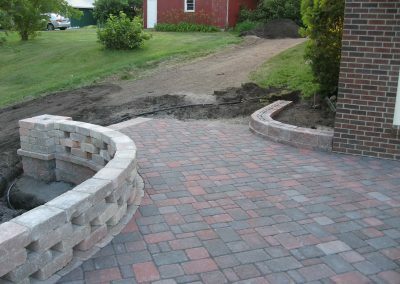 Lawn and Limb Landscaping can help you with a one-time watering, or scheduled watering on a weekly, bi-weekly, monthly or special request basis. 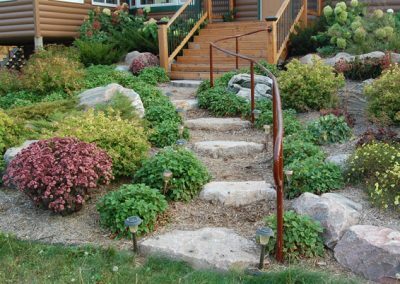 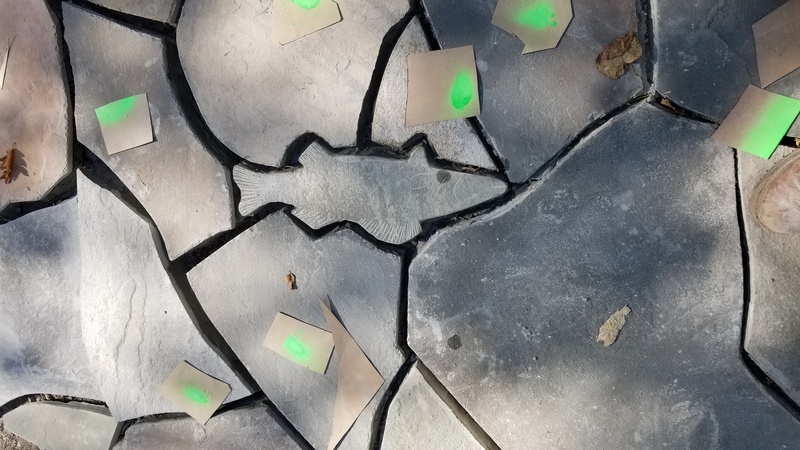 Love a colorful yard, but don’t have a feel for design, cannot understand what works in the micro-climates in your yard, or don’t the time to get the job done? 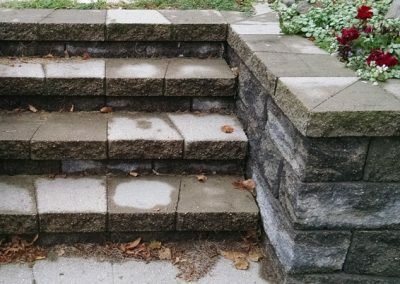 We’ll get a feel for what you’re looking for, then do the work for you!